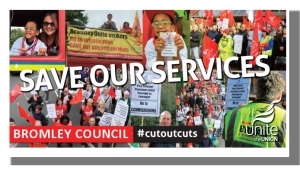 Conservative-controlled Bromley council is ratcheting up the pressure on opponents of its privatisation programme by suspending a union rep in a bid to silence critics of its privatisation programme, claimed Britain’s largest union, Unite. Unite said that ‘a curtain of secrecy and fear was descending’ over the council’s plans to become a commissioning council and reducing the number of council employees from 4,000 to 300 – despite having £130 million in reserves. The union said the council had suspended Unite representative Alan Brown on Friday (17 July). The details of the allegations are unclear, while the council investigates. This follows Unite branch secretary Kathy Smith having all her trade union facility time removed. She is now not being invited to trade union liaison meetings that the employer is setting up. Unite regional officer Onay Kasab said: “The council has been ratcheting up the attacks on Unite by suspending our representative Alan Brown on Friday (17 July). It can be no coincidence that Alan works at the Astley day centre and the suspension comes after the council was exposed as planning to close the service. Bromley council is considering the privatisation of 14 libraries, replacing staff with unpaid volunteers and handing the libraries over to charities. The remainder of the parks service was transferred to the Landscape Group, which announced that immediately after the transfer on 1 June, it will be making redundancies. Despite this transfer, council taxpayers will be bailing out the Landscape Group by footing the bill for the redundancies. Last week, the council also made the decision to begin the process to transfer services for disabled adults to private company, Certitude which could lead to more job losses. 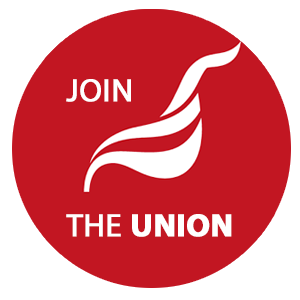 Unite’s members have already held four waves of strikes against privatisation. They voted by 87 per cent to take strike action in protest against the privatisation programme, cuts to pay and conditions, and the withdrawal of facility time from the Unite trade union representative, Kathy Smith. The dispute comes against the backdrop of a Fair Deal For Local Government campaign by Unite’s London and Eastern region which has almost 300,000 members. The campaign is aimed against privatisation and austerity in local government. The campaign is a set of proposals that Unite is putting to councils in the region. It is a procurement strategy to ensure that quality services are maintained and that there is no ‘race to the bottom’ for pay and conditions post any transfer. Kathy Smith from Bromley spoke at our last branch meeting. See here for a report on Bromley cuts and the fight back.